Farms, not factories. When industry is the path to prosperity. Ancient, archaic laws When the majority of Indians are less than 25 years old. Armies of unemployed. When companies are hunting for skilled workers. Half-built highways. When its people dream of speed. Indias problems can seem overwhelming. But solutions exist. 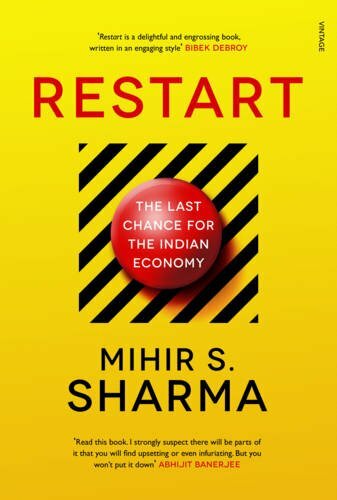 In Restart, Mihir S. Sharma shows what can and must change in Indias policies, its administration and even its attitudes. The answers he provides are not obvious. Nor are they all comforting or conventional. Yet they could, in less time than you can imagine, unleash the creativity of a billion hopeful Indians.